Nepal is endowed with rich and varied biodiversity throughout the country. Its short distance variance in weather and bio-geography gives a range from lush moist forests and sparse alpine deserts to luxurious grasslands and tall trees in lowland Terai of southern Nepal. The Chitwan Valley consists of tropical and subtropical forests. 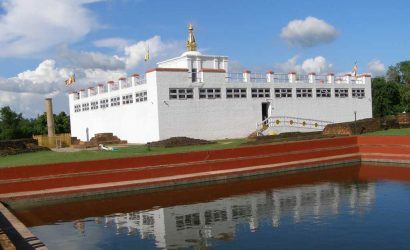 Chitwan National Park is a World Heritage Site because of its typical natural, cultural and landscape characteristics. The endangered fauna found in the park are: One-horned rhinoceros, Royal Bengal tiger and Wild elephant etc. Chitwan is also a popular destination for an amazing Jungle safari which includes elephant back-ride, canoe ride, village tour, bird watching and jungle walk. The livelihood of the local Tharu community is yet another attraction of Chitwan. 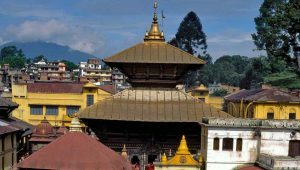 Our Jungle Safari tour includes a trip of the world famous monuments of Kathmandu with an extended trip further to Pokhara. 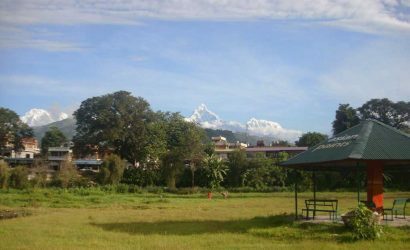 Pokhara is a visitor’s paradise. The panoramic view of the majestic Himalayas such as Mt. Fishtail, Mt. Annapurna and Mt. Dhaulagiri is truly awesome. The Sunrise view from Sarangkot gives a lifetime memory. Apart from this, there are many interesting points to see like Fewa/Phewa Lake, Devi’s fall, World Peace Pagoda, Caves and sacred temples. Finally, the tour concludes with a dinner in typical Nepalese way and live cultural show. Folk music and dancing have always been an integral part of Nepalese culture and tradition. 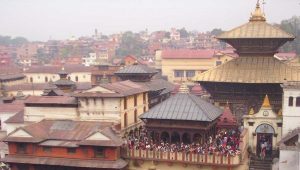 Nepal though a small country in size, it has over 100 ethnic groups having their own distinct traditions of music, dancing, dressing, language and culture. They perform their cultural practices in different festivals and occasions meaning to ancient myths. The traditional and authentic Nepalese food is daal-bhaat, curry, pickle, vegetables and mutton or chicken. After breakfast, sightseeing tour of World Heritage Sites will be started by an experienced City Tour Guide. 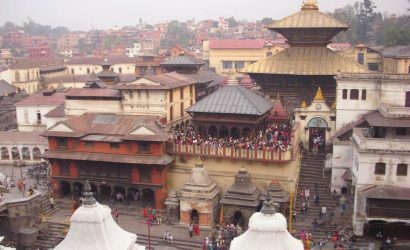 Tour includes to Swoyambhunath, Boudhanath, Pashupatinath and Patan & Kathmandu Durbar Squares. 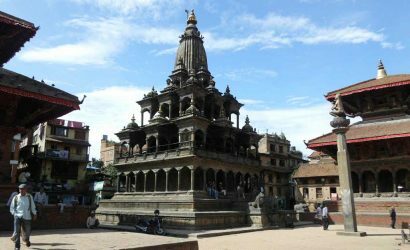 The entirely stone made Krishna Temple, three-storied golden temples and the three main courtyards of the Durbar Square are the main attractions of Patan. 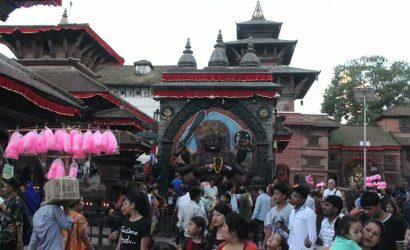 Before ending today’s tour, we move to Kathmandu Durbar Square where we can visit the famous Kumari Ghar (Temple of Living Goddess) and the guide will give a short account of Nepal’s history and art related to the shrines and palaces located here. Then we drive back to our hotel. Drive to Chitwan National Park. After breakfast, we take a drive for approximately 5-6 hours along the bank of the Trishuli River to Chitwan National Park which was declared UNESCO Natural Heritage Site in 1984. There will be a short briefing on the program and facilities after rooms are assigned. Our tour starts with elephant back-ride safari to explore the jungle and wildlife where you will be able to see the one-horned rhinoceros, several types of deer, monkeys, wild boar, sloth bear, leopard and if lucky, the Royal Bengal tiger. This exciting ride lasts for 2-3 hours. After dinner, we are ready to witness the typical cultural dance performed by local Tharu community. This cultural show is known as Tharu Stick Dance. Chitwan - Full day Safari activities. With the wake-up call followed by tea or coffee we are ready for a Nature Walk. 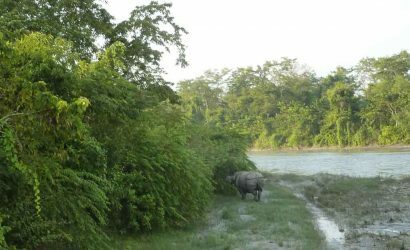 This encounter on foot with the environment will introduce the main features of Chitwan. Sal forest, open grassland and reverie jungle. Our guides will help you identify some species of birds, plants and other wildlife that you may encounter with. After lunch, we are ready for canoe trip on the Rapti River. A traditional dug-out canoe takes you on a silent trip down the Rapti River to view aquatic birds and the animals of the river banks. We continue our excursion to EBC (Elephant Breeding Camp) to learn more about these fascinating animals on a visit to the elephant stable. After breakfast, we begin our journey to Pokhara through half of the same road we covered on the previous day. This is about 4-5 hour scenic drive and we will pass through many village settlements and small towns. Pokhara is an ultimate destination for relaxation with the magnificent Annapurna range and the serenity of beautiful Fewa Lake. Our Pokhara tour starts with a boat ride on the Fewa Lake where we can see the shadow of Mt. Fishtail over the Lake water. We drive to Sarangkot to witness the Himalayan panorama that dominates Pokhara City early morning. 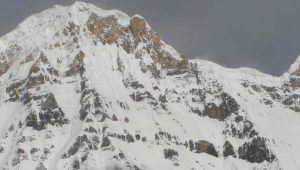 The towering Annapurna and the famous ‘Fishtail’ peaks are the highlights of this trip. We drive back to hotel for breakfast via the visit of sacred Bindhyabasini Temple. After breakfast, we will visit David Falls, Gupteshwor Cave and the World Peace Pagoda. We will also visit the International Mountain Museum before ending today’s tour. You are free to explore the colorful town in the evening. After breakfast, we are now retracing our drive through the scenic Highway on the bank of the Trishuli River and end our tour in Kathmandu. After refreshing and taking some rest, we will join the typical Nepali dinner with live cultural program. The show ends at 9PM and we are back to the hotel for rest.